If your business sells flowers, or anything related to floral design, February is one of the busiest months of the year. Valentine’s Day comes in the middle of the month, and people who don’t buy flowers at any other time of the year flock to buy bouquets of roses, or whatever bloom their significant other likes best. 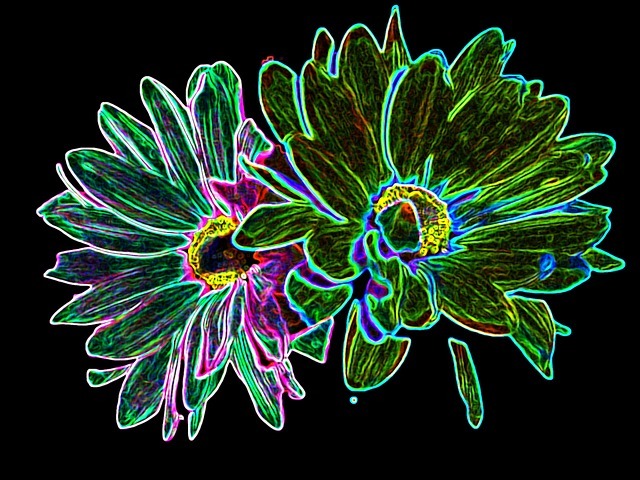 Floral Design Day happens on February 28th, offering an opportunity to celebrate the unique beauty of flowers and the delicate art of floral design. On top of all that, February is one of the coldest and grayest months of the year, and people try to beat the winter doldrums by sprucing their homes up with flowers. You owe it to yourself to take advantage of this unique month-long influx of business. The extra money you earn in February can help carry you through the lean months in the spring when flowers seem to be in bloom everywhere. Remember, though, that simply selling flowers is not enough to draw people in. Unless you are the only florist in town, you face stiff competition from other florists, grocery stores and convenience stores that sell bouquets around the holidays. One cost-effective and attention-grabbing way to set yourself apart from the competition is to use your signage. With the right combination of messaging, technology and placement, you can get people looking at your store and thinking about flowers. If you want to make this a lucrative year, now is the time to begin planning. Follow these tips to use signage more effectively. First and foremost, your new and returning customers need to know when you are available to sell them flowers. Make sure you use an open/closed sign, and be sure that it displays your status the minute you open your doors. Also, if you are open late, early in the morning or at unusual times to facilitate holiday shoppers, make sure you show off that fact. Just because Valentine’s Day is a celebration of love doesn’t mean that people want to break the bank celebrating it. You can attract a surprising amount of new business by appealing to value-oriented shoppers. If you are offering discounts, promotions or other special offers, highlight them with your signage. Do you have a unique variety of flowers for sale, a special kind of bouquet, candy, cards or stuffed animals? If so, let everyone know. Think about the goods and services besides flowers that shoppers in February are looking for, and mention them with a big, bold sign. Customers are more likely to shop with you if they know they can get everything they need in one place. You have a brief window of time to make an impression. If your goal is to attract customers driving home from work on a dark and dreary night, looking for a last minute bouquet to pick up for their spouse, this window may only be a few seconds. Make sure that your marketing messages hit with an impact by using neon or LED signs. These bright and colorful signs attract attention, are visible in any condition, have the space and flexibility to deliver nuanced messages, and give character to your business. For the cost, ease of use and overall effect, there is no better value available today. This entry was posted in Custom Neon Signs and tagged all neon signs, business signs, business strategy, led sign, neon signs, signs, Valentine's Day on February 25, 2014 by Eli Coniglio. If you run a hair salon, nail studio, beauty salon or barber shop, you understand how tough the competition is. You might have direct competitors on the same block, in the same strip mall or even just a few doors down. With so many services concentrated in the same area, it becomes especially difficult to attract new customers. Even more of a challenge is that many salons and stylists have to set up shop in strip malls, old store fronts or off the beaten path locations. Without the eye-catching effects of new construction or comprehensive renovations, these businesses often get overlooked. It is a frustrating aspect of the industry, but one that all business owners have to adapt to. The good news is that there are easy ways to enhance the look of your existing location and set yourself apart from your competition. You simply need to use signage to your advantage. When the right kind of signs display the right message in the right direction, it is one of the most potent forms of advertising available. 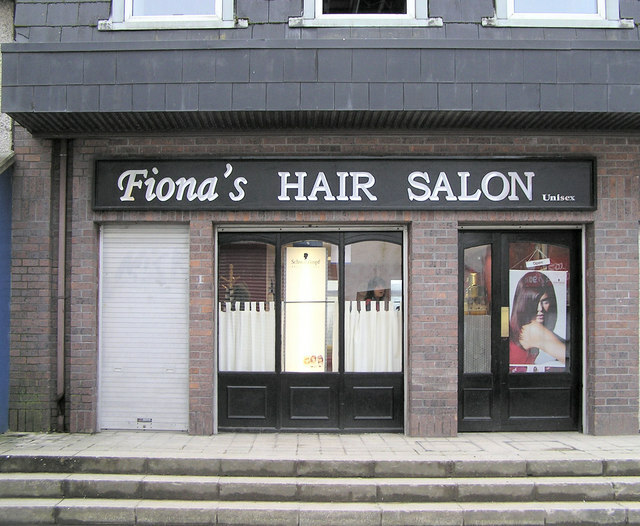 Follow these tips to use old and new signs to bring customers into your small business. If there are direct competitors in your neighborhood, what do you do different? Does your salon offer tanning, waxing, massages or exotic aesthetic treatments? Make sure potential customers know about your singular services. This may seem obvious, but you would not believe how many beauty parlors and nail shops do not take advantage of this kind of signage. Make sure customers know when you are open from the minute that you are. The beauty business is fickle. Some people stick with the same hairdresser or nail technician for years, but many more bounce around looking for the best price or the most generous service. Attract uncommitted or value-oriented customers by advertising deals, special offers, events and any other opportunity to get more for less. Name recognition benefits any business. Make sure that your customers know the name of your business from the minute they first walk through the door. Even more importantly, drivers, pedestrians and anyone else passing by should be able to easily read your name. Make it convenient for people to find you and talk about you. So far, all of our tips have focused on your messaging. The way you deliver those messages and the kinds of signs you use are just as important. If you want to really stand out, you need to use electronic signage technologies like neon or LED. Not only do these signs give your storefront a clean and contemporary look, they are highly visible. You can easily see and read them at any time of day, even in bad weather. No matter what you want to communicate, you can communicate it louder with neon or LED. Take the time to evaluate the way you are using signage right now. What condition are your current signs in? Is it time to add new ones to the mix, or to commit to an entirely new signage strategy? Would a custom sign give your business some real character? You may not have much to spend on advertising, but a one time investment in new signage is money well spent. This entry was posted in Custom Neon Signs and tagged all neon signs, business marketing, business signs, business strategy, led sign, neon signs, salon on February 18, 2014 by Eli Coniglio. All of the signs you use to promote your business are important, no matter how small they are or what they communicate to customers. But there are certain signs that are completely indispensable. One that does not get enough credit for driving customers through your front door is the open/closed sign. Having one, and using it properly, is an integral part of your signage mix. You may think that it is obvious when you are open and closed, but your customers may not feel the same way. Just because the lights are on inside or people are visible behind the counter doesn’t mean that a business is open. When there is confusion, there is nothing more frustrating than parking a car, walking up to a door and finding that it is locked. Being able to clearly and consistently communicate when you are open to customers is a simple courtesy and a handy visual aid. Conversely, letting customers know when you are closed can save them a moment of frustration and build goodwill for your business. If you do not have an open/closed sign, or the one you have is long overdue for an update, consider incorporating LED technology into your storefront. LED signs are the accepted gold standard for signage right now and create unique opportunities for any business, in any industry, to reach out to customers. These are just a few of the reasons why you should upgrade your open/closed sign to LED. LED signs are bright, colorful and capable of producing full motion graphics depending on the model you use. Compared to paper open/closed signs, LED signs offer exceptional levels of visibility. It doesn’t matter if it is nighttime, storming outside, or you are located in a crowded marketplace, LED signs are easy to see. When you rely on an LED screen to work as a sign, you have the freedom to change fonts, colors and creative messaging. Rather than using the same bland sign that everyone else does, you can customize it to reflect something about your business. You will draw in customers simply by having the foresight to do something different. It could not be easier to install and operate an LED sign. The process requires little more than hanging it up, plugging it in and turning it on. Plus, LED lights use a miniscule amount of energy, so even if you leave your sign on day and night, it will not affect your electric bills in a significant way. LED bulbs also have an extra long life span, so you rarely need to worry about changing them. An LED sign is an easy way to upgrade the look of your storefront. There is such a wide variety of signs on the market that it is easy to find one that complements the way your business looks. If you are not already using an LED open/closed sign, you owe it to yourself and your customers to consider one. Today’s busy shoppers are looking for convenience, and this is one simple way to make it convenient to spend money at your business. Research the extensive inventory of open/closed LED signs to find the right one for you. This entry was posted in Business Signs and tagged all neon signs, business signs, business strategy, led sign, signs on January 14, 2014 by Eli Coniglio. 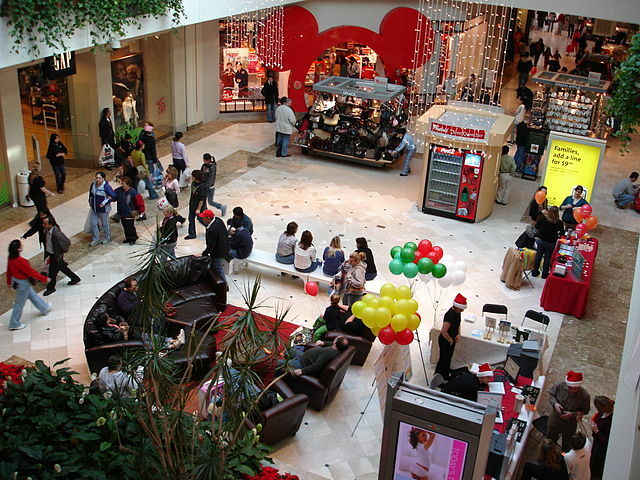 The two weeks immediately following Christmas are some of the busiest shopping days of the year. People are eager to exchange gifts, redeem gift certificates and spend cash. There are also basic services that need to be taken care of as people have their table linens cleaned and begin to pack up their decorations. Then, following New Year’s, there is a whole new round of resolution-based spending as people join gyms, update their wardrobes and start diets. If your business is in the retail or service industries, you need to take advantage of this consumer rush. With so many people out and about, your first goal should be to get noticed, and there is no better way to do that than with the right signage. Using bright, bold neon or LED signs, and tailoring your messages to post-holiday shoppers, can drive in whole new streams of business. Here are a few tips. Many businesses close down for a day or two around the holidays. If you are open, make sure that everyone knows it by turning your sign on the minute you begin serving customers. Conversely, it can be a welcome courtesy to use a sign that actually says “Closed” so that you can avoid any potential confusion. We have all had instances when we have parked the car and walked through the ice only to find out that the place we were going wasn’t open. If you are running any discount deals, contests, special offers or other holiday promotions, use a sign to let everyone know. Some holiday shoppers are flush with spending money, but a whole other segment of customers has strained their budgets to prepare for the holidays and is now looking for a deal. Use your signs to tell everyone that they can get something extra if they do business with you. Returning merchandise is a stressful process. Every store has their own policies, and it is hard to know how a return request will be met. If you strive to make returns easy, mention it with a sign. It does not have to explain your whole policy, it simply needs to reassure your customers that taking things back is simple. Not every sign has to deliver a sales message. The holidays are a festive time, and many businesses decorate in some way. Adding seasonal signage to the interior or exterior of your space can enhance the atmosphere and enliven the mood of customers. If you live in a college town, you might also think about putting up a sign for the college football team as they enter bowl season. Think about what your customers are excited about, and try to reflect that in your signage. The final point to emphasize is that around this time of year, electronic signs are much more effective. The days are often overcast, the nights come earlier, and there is the potential for storms. 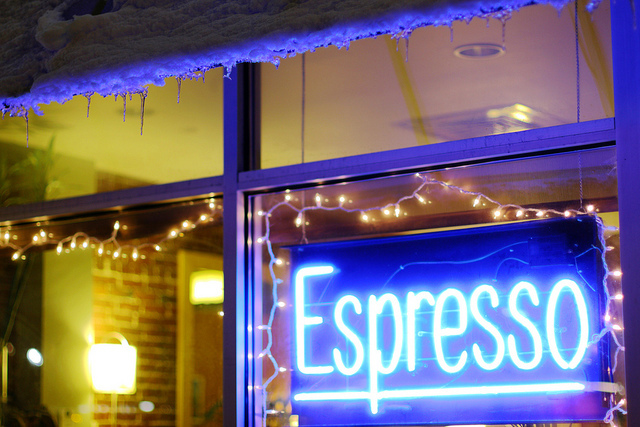 You can make sure you stand out through winter weather by using neon or LED signs. They are available in a wide range of looks, and you can always have a custom sign made. Light up your business after the holidays, and let all the shoppers know that you have what they need. This entry was posted in Business Signs and tagged all neon signs, business strategy, christmas, holidays, neon signs, seasonal signs on December 27, 2013 by Eli Coniglio. The holidays present both opportunities and challenges for local businesses. There is often an influx of customers, but businesses have to contend with unusual schedules, bad weather, and sometimes frazzled shoppers. Business owners also have to deal with stiff competition for the limited holiday shopping dollars that people have to spend. One of the most reliable ways to make things easy on your business, and your customers, is to have clear, informative signage. This also helps you stand out from the competition. In order to make the most of the holiday shopping season, use the following kinds of neon signs. The first thing that customers will want to know is whether or not you are open. With many businesses closing down on Christmas Day, Christmas Eve, and around New Year’s, it can be hard for customers to adapt to holiday hours. Make sure that if you are open, you have a bright, colorful, highly visible neon sign advertising that fact. Just because Christmas is a major holiday doesn’t mean that commerce shuts down entirely. There are many people that are looking for goods and services on Christmas Day, or in the days immediately surrounding it. 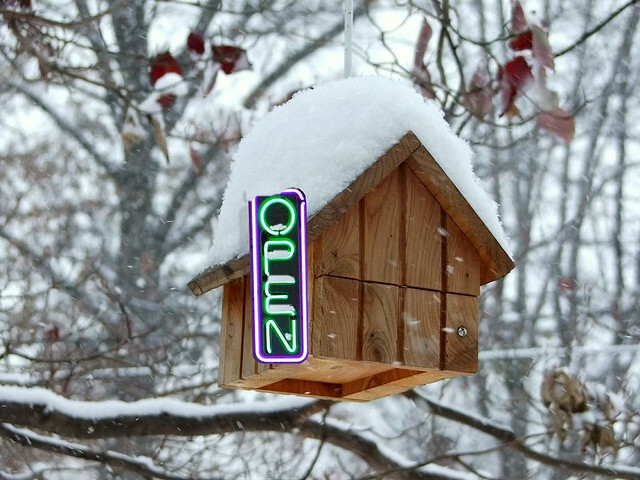 If you plan to be open on Christmas, or have special hours for the day after Christmas, use a neon sign to let everyone know. Restaurants especially can attract a lot of business by letting people know they are open Christmas Day. People are always looking for deals around the holidays. If you want to offer special pricing or incentives, make sure people know about it. A butcher shop might have a deal on Christmas hams, or a dry cleaner might offer discounts for cleaning Santa suits. You can attract new and enthusiastic customers if you use neon signage to proudly display your holiday generosity. Most associate the holidays with Christmas, but many people celebrate Hanukkah, Kwanzaa and other seasonal holidays. If you offer supplies to facilitate these celebrations, or you simply want to show your support for everyone’s traditions, make it known with signs. A neon sign of a menorah or Kwanzaa candles can show new customer demographics that you are excited about their holidays too. Even customers who celebrate Christmas will appreciate that you have so much respect for this special time of the year. Sometimes the most effective holiday signs simply offer a warm greeting to everyone that passes by. A sign wishing people a “Merry Christmas” or “Happy Holidays” shows customers that you are in the holiday spirit and hoping everyone has a festive time. The best way to deliver this message is with a neon sign. Neon signs grab attention, standing out when it is nighttime, snowing, or your windows are fogged over, and they are an affordable signage option. Make the investment in a custom neon sign this season, and you can use it over and over again for years to come. This entry was posted in Business Strategy and tagged all neon signs, business signs, business strategy, christmas, holidays, neon signs on December 11, 2013 by Eli Coniglio.